That’s what little boys are made of……apparently! Well, yes – they are and I wouldn’t have it any other way. There is no doubt about it, no matter how hard parents may try to avoid gender stereotyping, by the time children start school, boys and girls are VERY VERY different. I have a son, 2 nephews and lots of friends with boys. Our house is often full of them. 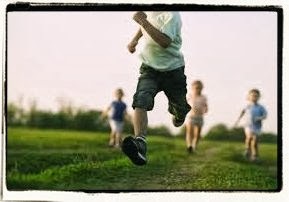 Running around when they could just walk, and shouting when they could just talk…and whilst life surrounded by boys is sometimes exhausting and noisy, the energy and enthusiasm that boys have is amazing. I wish I could bottle it and put it in my cup of tea on a Monday morning! 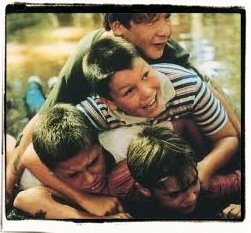 ….and all of my recent work has been for lads, so I thought I’d dedicate a post to the little terrors! 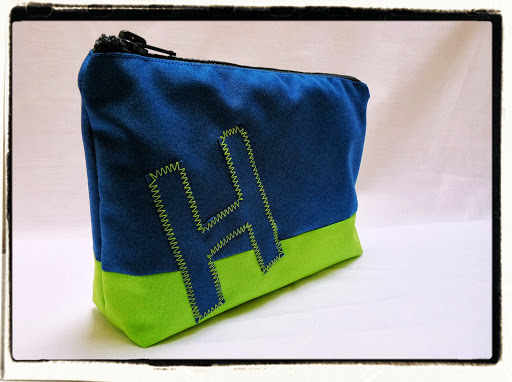 I’ve said it before but designing and making accessories for girls is pretty easy, with so much choice of colours, fabrics and styles…with boys it takes a little more thought in order to avoid the latest playground phase, not make something too ‘baby-ish’ and create something with a bit of longevity. 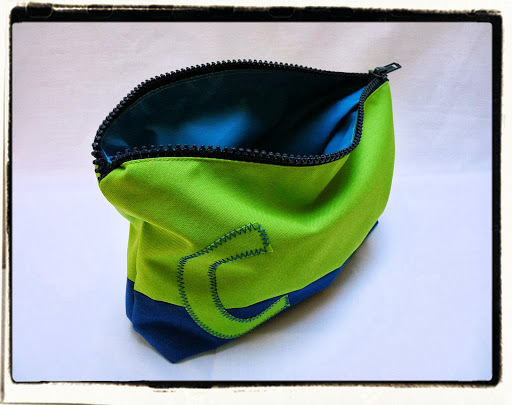 So, I worked on a new ‘sleep-over’ wash bag design for boys using water resistant hard-wearing fabrics, with nice big chunky zips (perfect for little fingers to use and a bit more ‘boyish’! 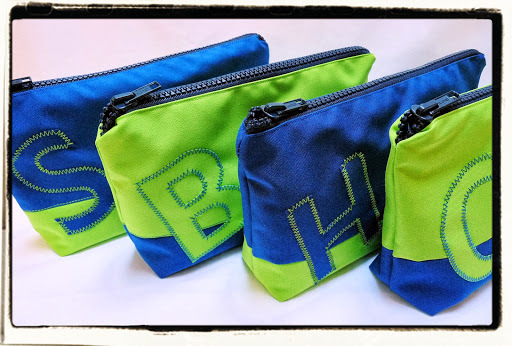 ), a waterproof lining and personalised with initials to avoid any mix ups. 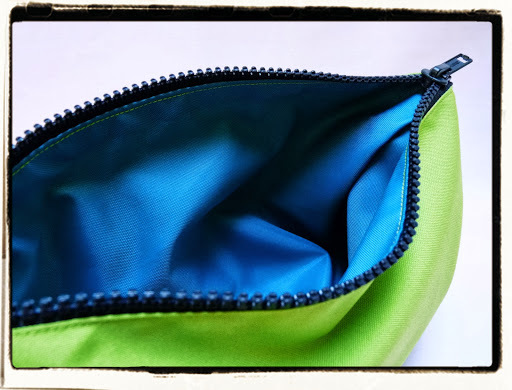 The royal blue and lime green fabrics are bright and fun but more grown up than paler shades. 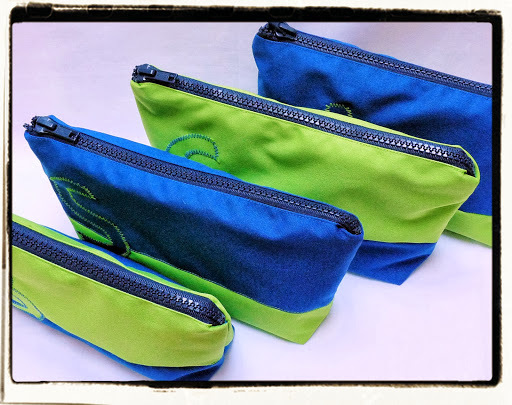 Apologies about the photos..the light here has been terrible for the past few days as it’s hardly stopped raining, but wanted to get them photographed before I gave them to their recipients. 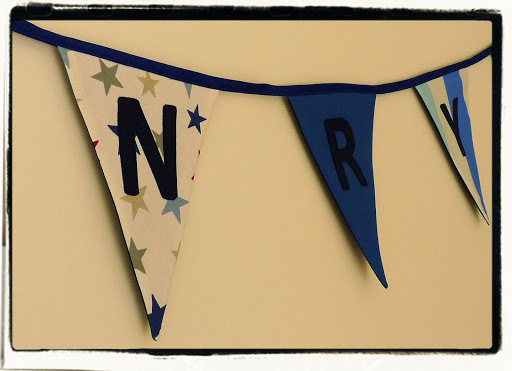 I’ve also made some more bunting for a (nearly) 7 year old lad to hang in his bedroom. 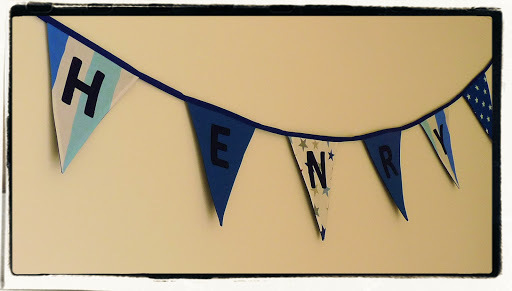 Again, didn’t want anything too young, so this is bigger and bolder than the new baby/toddler bunting I do and I went with stripes, stars and plains in his requested blue shades to avoid any ‘themes’ that may quickly be grown out of. 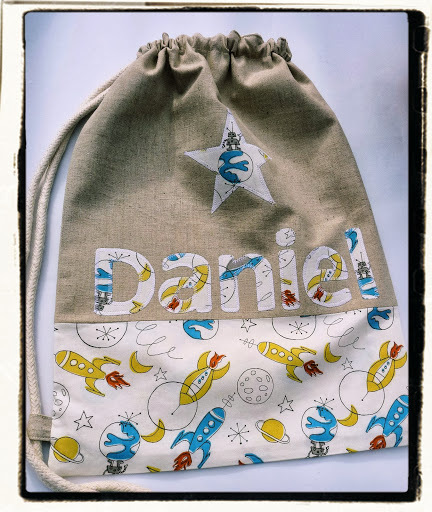 …and finally, the ever popular drawstring bag for little ones. 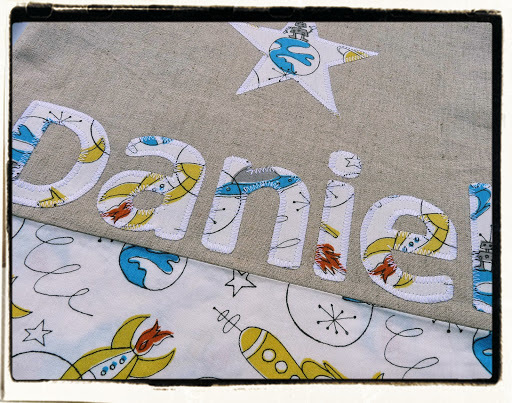 This time for a Daniel, but again using my favourite Monaluna Space fabric (with cheeky little robot!) in neutral shades. To all the wonderful, energetic, funny, physical and loud little boys that I know….thank you for being what you are and inspiring me to create new things for you! < "So, what do you do?"